Switch rhythm action game gets packaged. 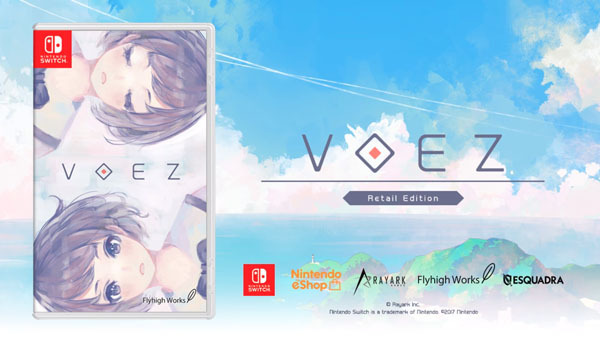 A physical edition of the Switch version of rhythm action game Voez will launch in North America this summer for $39.99. Pre-orders are currently available on Amazon. Japanese voice acting with in game text featuring English, Japanese, Chinese and Korean. Watch a trailer for the physical release below.